memory performance, and helping with concentration/attention. Certain types of classical music are seen as better for the task than others. Music with singing usually makes for a distraction in that you end up thinking about the words in the song rather than the words you are reading or writing. Calm and relaxing music has been shown to work better than fast and choppy music. 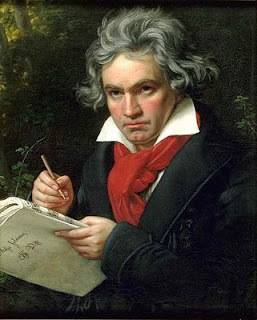 My personal favorite piece to study and write to is the first 3 Movements of Beethoven's 9th Symphony. If your a classical music fan, then you already know how this completely flies in the face of what I said above. Even though many parts of the composition do become very loud and fierce, for some reason it just works for me. So, do a little searching of your own to find a classical piece that you enjoy. Once you have it, try and write your next paper or study while listening to it. You might be surprised at the results you find.